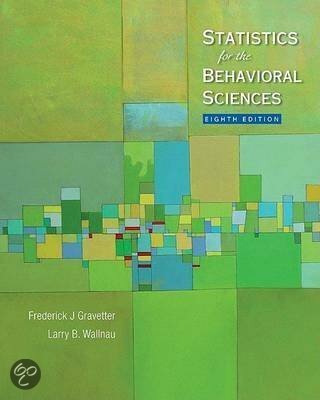 Research methods for behavioral sciences (Gravetter en Forzano) A comprehensive summary of the important concepts and examples. Research methods for the behavioral sciences This summary contains chapters 8 t / m 13 (excl. 11). Here are the different designs for experiments discussed. All terms are described clearly and concisely.